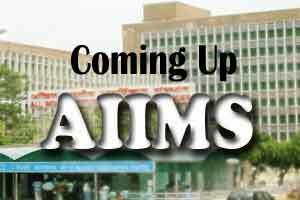 Mumbai: Under the state cabinet proposal to allot lands to various educational institutes, the Union Ministry of Health and Family Welfare has been handed over 150 acres for setting up an All India Institute of Medical Sciences (AIIMS) in Nagpur. The land has been provided at a concessional rent for 99 year period ,with an FSI of 1.5. It is located at Mouza Dahegaon in non-SEZ area under Mihan. As earlier reported by officials, the allotted land to AIIMS was under the control of Maharashtra Airport Development Corporation (MADC) and formal clearance from cabinet was to be granted for the handing over which has now happened. As reported by TOI on an earlier occasion, Government appointed nodal officer , AIIMS, Dr Ravi Chauhan had said that they had demarcated 150 acres and also set up a boundary using big stones. “As far as state is concerned, we have completed all formalities. Now, it is up to the Union Ministry of Health and Family Welfare to take possession and start construction. We are always there to help them in getting no-objection certificates and any other help,” he had stated. Project AIIMS was announced in the 2014 budget, and the land allotment at Mouza Dahegaon had been granted long back. No significant progress took place afterwards with the project remaining on paper. The State officials whenever asked about the status in the past two years put the onus of responsibility on the Union Ministry of Health and Family Welfare for taking it forward.